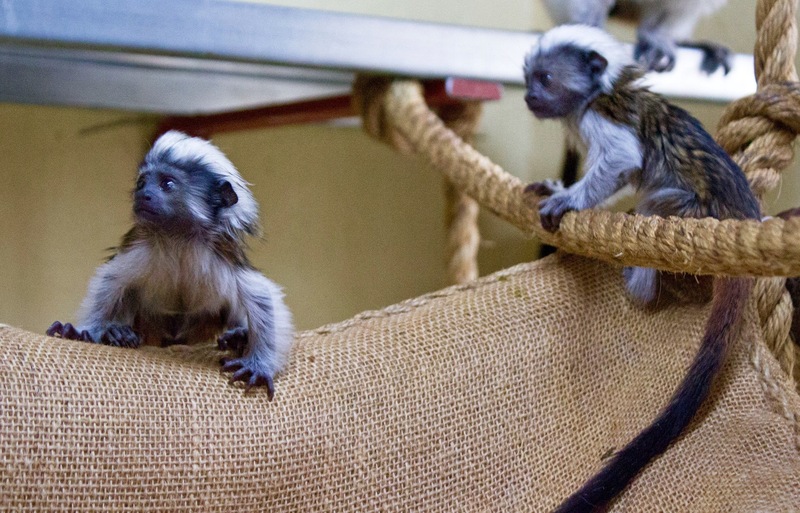 Drayton Manor Zoo in Staffordshire welcomed the arrival of spring with the birth of two critically endangered cotton-top tamarins. Kit and Leo were born last month to proud first time parents Ellie and Bernie and weigh in at just 40-45g, which is roughly the third of the weight of a hamster! Twins are very common in tamarins and mum and dad will now share the hard work of raising their offspring together. Chris added: “Little Kit and Leo have recently been sexed and we’re happy to confirm we have twin baby males and both are growing stronger by the day. Their white hair is due to come through over the coming months so they’ll look more like their parents. They’re just starting to show off their cheeky personalities winning us over here at the park, and we hope lots of families visit over the season to say hello. Drayton Manor will also welcome a whole host of other new arrivals soon, including red pandas, sulawesi crested macaques, beaded lizards, golden headed lion tamarins and some very cute dik-diks!